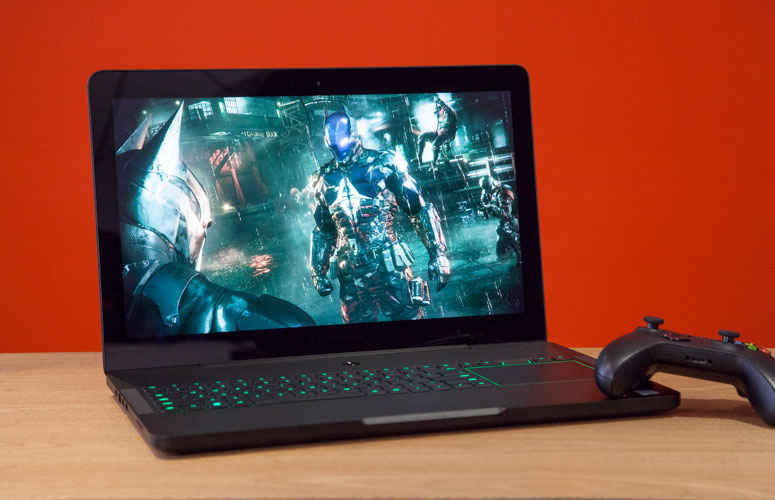 Does the concept of a ‘Thin and light’ 17-inch gaming laptop actually have legs? 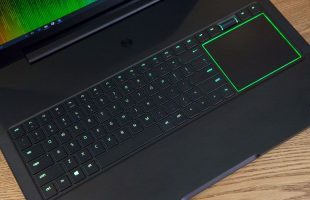 Razer Blade Pro (2017) Review – RAZER IS BASICALLY attempting the impossible with its latest revamp of the Blade Pro, matching a 17.3-inch screen with a thin (well, ‘thinner’) form factor than you typically see in gaming laptops of this size, with the company trying to make a more portable 17-incher. The result is admittedly still a beastly and burly machine, but its one that’s been made about as svelte as you could reasonably ask, and weighs a respectable 3.07kg sans power brick. Like Razer s other Blades, the overarching design is rather MacBook like, with nice clean lines and a tough metal exterior that looks very much like a black version of Apple’s circa-2012 MacBooks — and physically, the Blade Pro is the closest thing we’ve seen to a 17-inch MacBook since Apple discontinued the latter way back in 2012. 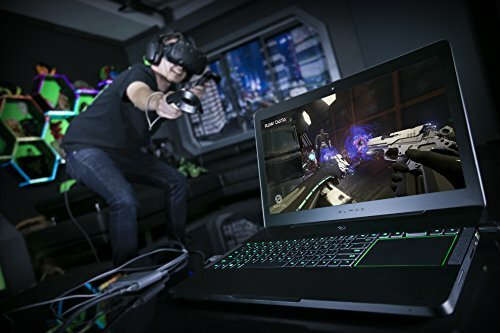 The entry-level model of the Pro we tested for this review packs a GeForce GTX 1060 GPU, which is powerful enough to drive the unit’s 1080p IPS G-Sync display along at a reasonable clip, although not quite to its full ‘gaming’ 120Hz refresh rate — or at least, not in the latest, most-demanding games. You can also optionally step up to a GTX 1080/4K display model, which starts at an eye-watering for the 512GB option and climbs even higher for the 1TB and 2TB units. The specs are adequate-to-mixed elsewhere on this entry-level unit. 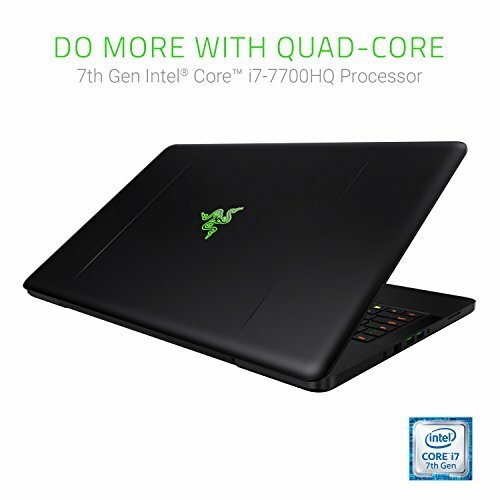 While it’s only using a 7th-gen Intel CPU (despite the 8th-gen equivalents having been available for a couple of months), but it’s the near top-of-the-tree Core i7-7700HQ, and there’s a useful 16GB of DDR4-2400 memory to accompany that. 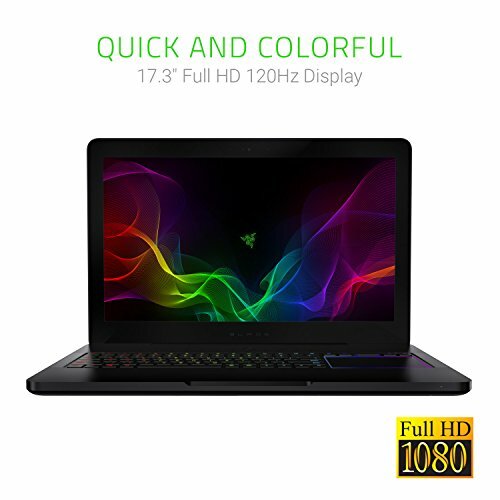 The bigger chassis size has let Razer squeeze in some useful extras elsewhere too, including an RJ-45 Gigabit Ethernet port and a full-sized HDMI output, alongside an SDXC card reader, three USB-A 3.0 ports and one USB-C/ Thunderbolt 3 port. 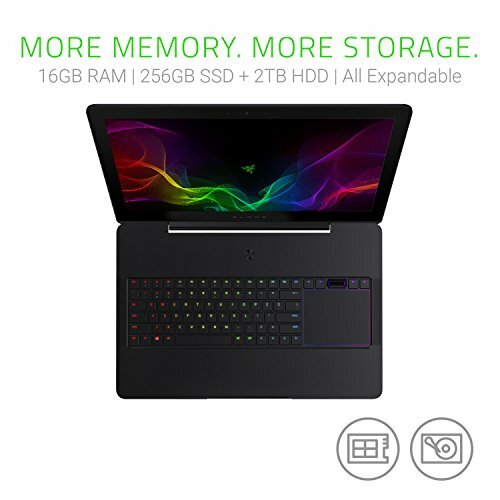 You also get a combination of 256GB SSD and 2TB 5,400rpm mechanical hard drive for storage. 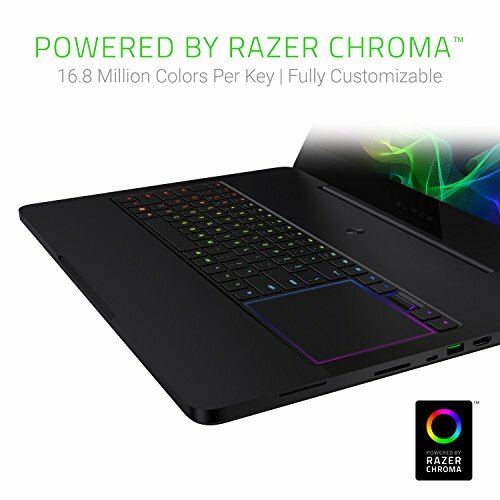 The extra space provided by the 17-inch chassis has let Razer’s designers make some interesting choices when it comes to inputs, too, like the decision to squeeze the Pro’s large trackpad in to the right of the keyboard. 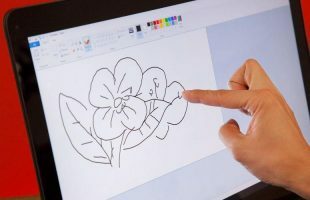 For left-handers, that’ll likely make the Blade Pro uncomfortable to use without a mouse, although for right-handed use, we had no problems. 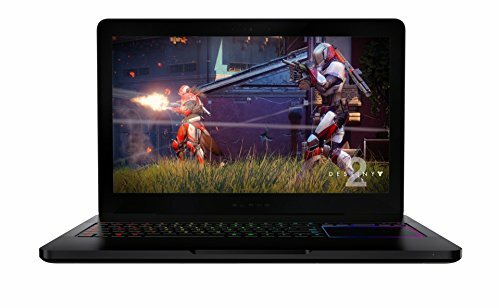 Also neat is that, because, it’s only using a relatively undemanding GTX 1060, this particular Blade Pro comes with a quite-compact power brick that weighs just 550g — a fair drop down from the lkg+ models bundled with most larger gaming laptops. 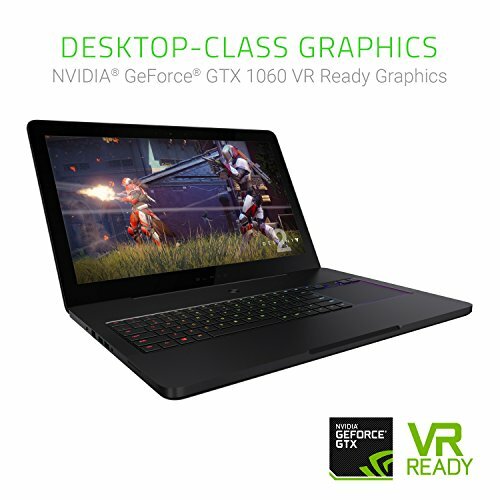 Be warned, however, that the GTX 1080 models will come with a larger charger to accommodate that GPU’s higher power requirements.